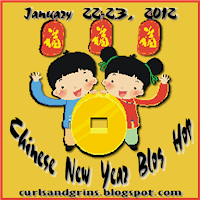 Ni hao and welcome to the Chinese New Year Blog Hop! April's family is adopting from Taiwan. some Chinese-inspired projects with you! comment on each blog on each day's post. We'd love for you to become a follower of each of our blogs too. 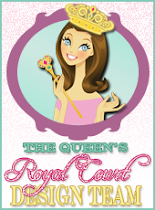 Now the Castle has some blog candy for you too.. 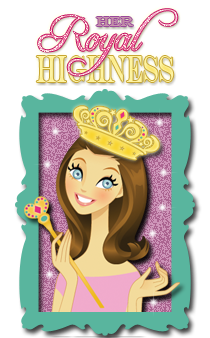 The Queen calls this " The Queen Royal SURPRISE "
Oh my gosh! I love this card. Love the colors and the pattern and the little girl is super adorable. Nice being in the hop with you. I love this. The little girl image is so so cute! The card is absolutely adorable and precious!!! Pleasure hopping with you!! What a wonderful card love the coloring. Already a follower of yours. I'm always intrigued by what I find on your blog. There's always such lovely stuff. So bright and beautiful!!! I love the little girl, she is adorable!!! I am already a follower and will be back tomorrow!!! Kung Hei Fat Choy, your Majesty! Here I am, your loyal servant volunteering to tell you that your Copic black hair coloring is masterful. Beautifully done!! xoxoxox Always a pleasure hopping with the Queen T! Fabulous job with the copics, she is adorable!! A very beautiful card, Queen. I like that you have included the chinese character for dragon. Very sweet little Princess!! love this!! TFS!! Very beautiful Card. love love the colors and the layering you have done is great.she is supper cute. love the punches you used. thanks for sharing. What a cute card and adorable stamped image. LOVE your coloring technique! Thank you for the wonderful smile! great card! The thing that is much inspiring in this card is its prominent attractive shades made it stunning.